Is Technology that Track Employees Protect Company's Reputation? Home Blogs Is Technology that Track Employees Protect Company’s Reputation? With the rise and the rise of modern technology, most of the companies worldwide are used for monitoring emails and conversations on cell phones and gadgets for the sake of the company’s protection. The company’s employers and owners are behaving as a watchdog on employee’s communication in order to prevent conflict of interest, insider trading, and public sharing of confidential and sensitive data or many other attempts that could dent the company’s reputation. However, reputation protection means to save the revenue. in order to get the productivity companies have got plenty of sophisticated ways to monitor employees at a workplace and all it has become possible with contemporary tech that tracks your employee’s all kinds of movement within the working hours. According to the global professional services firm Deloitte almost 41% of companies have experienced revenue loss when suffered a convincing damage to the brand’s name. Being an employee you may have come to know that within the working hours’ someone’s has kept a hidden eye on you at a workplace. It is possible that your concerns are true. Today the way the company’s and the employers are monitoring their employees has broadened beyond the simply just taping their thumb to check and check out from the office building. The modern technology and hunger of the data now have made the market for monitoring apps and employee monitoring software that can measure the movement of the employees on the company’s floor and as well as the activities they perform on the company’s owned devices connected to the cyberspace. Today, employers get their eyes on employee’s movements, fitness even the sleep on the name of productivity. How technologies enable employers to monitor employees? Let’s suppose we should discuss Humanyze, a startup that is located in Boston, Massachusetts, that used to of supplies other companies ID badges that is inbuilt with biometric measuring abilities. The badges empower the users to track each and every movement and interactions within the office territory. Moreover, a plethora of tech located within the badge enables a user to track the movements of the employees, interactions, complete conversations and with the Voice tone. Microphones of the device snoop into a hidden conversation, vocal information in order to judge either a person dominates the conversations, tone, volume or speed of speech, CEO Ben Waber has stated to the Techworld this year. Additionally, companies are using software to monitor cell phones and computer machines in order to monitor employee’s emails, chat conversations on installed messengers. Furthermore, they are also using data backup apps to protect the company’s owned sensitive information that could dent the company’s reputation and can damage the productivity to the fullest. 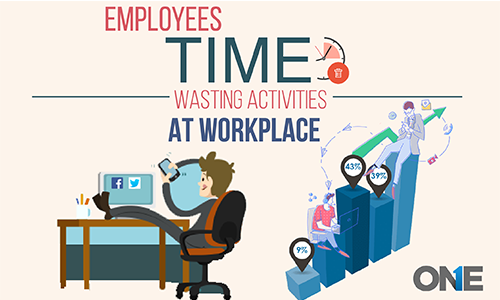 “Employees analytics” enable employers to measures their productivity, how often employees are disrupted, and when they are up to their work and when they have left their seat idle to waste the time within the working hours. The contemporary technologies are providing the number of ways to monitor employee’s activities, but such tracking apps and devices may put employees out of comfort zone. Last year, a journalist at the Daily Telegraph have experienced that a monitoring device in the shape of sensors has placed at his desk by the senior staff. However, in the wake of serious criticism from the National Union of journalists, the sensors were removed. The consent was mandatory, on the governing of monitoring devices being placed at the newsroom, Seamus Dooley stated that and the NUJ has resisted to such surveillance without being taken the consent. Without the shadow of the doubt, technology empowers the employers to monitor emails, phone calls, text messages, social media activities, and others. Furthermore, with the advancement of the tech–bosses have many significant ways to keep an eye on workers in unprecedented ways, and may have raised more privacy concerns. Today, workers are used to using personal mobile phones and laptop devices. BYOD “Bring your own device policy” is helping our organizations to the ability to see the other information on the personal devices. On the other hand, 45% of the firms stated that tracking services are the key to improve field service where they can track GPS location of cell phones and sensors in the cellphone are helpful to track employees’ whereabouts and in few cases the driving behavior of the employees. Tracking services are key to improve the check on balance on employees that is been deployed in the field, according to the study of technology and services firm Aberdeen Group, 45% of the companies are in the favor of tracking services. 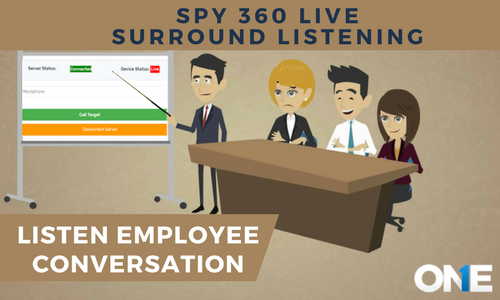 Why companies are spying on employees? As we all know that scrutinizing the employees work rate and to keep tabs on their minute by minute activities, is all about to for the improvement of efficiency, protection and for the sake of productivity. However, cyber ransomware attacks have hit the business world by storm in which the data of the companies can be stolen and then in return hackers ask for the ransom. 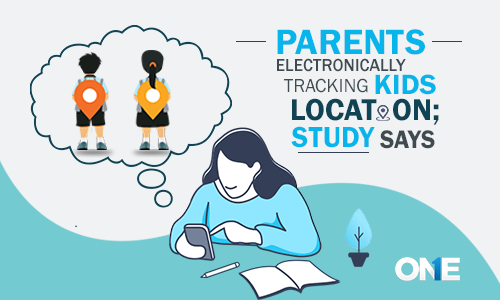 Therefore, the modern multinationals at least are using tracking services of different kind of monitoring tools in order to protect the company’s data stored in the electronic devices. You may have heard of cryptocurrency mining malware has grown via Facebook messenger and employees are also use instant messaging apps and websites within the working hours on the company’s owned devices. So bosses always want to monitor the computer screen activities in order to know what employees are up to at the moment. The malware usually sent by the unknown people to the target Facebook messenger with zip while and once a user has made a click on it, the files will automatically loaded to the device and the sensitive information to the device would be stolen. A large number of business organizations where numbers of employees are working and it difficult to make a check and balance on their working activities. On the other hand, there could be black sheep employees who can steal the company’s owned data stored in the computer devices that ultimately can damage the reputation of the company. So, the rising trend of employees spying at the workplace could be for to prevent something fishy from the employees. Is employee monitoring works to prevent dent to a company’s reputation? Obviously, when it comes to the reputation of the company or employees productivity through monitoring, bosses need to have the thoughtful and tailored approach. Having so much invested to the business, employers have right to keep an eye on their employee’s activities whether it is about real–life activities within the working hours or to keep an eye on their work on cell phones, gadgets and even on computer machines. But when it comes to privacy concerns they have to look after every individual right in their mind and should take their written consent or alarm their employees they are being monitored due to such circumstances. However, when it comes to particularly employee monitoring, it benefits the bosses a lot in terms of productivity, prevention of cyber-attacks and to deal with fishy activities from the disgruntled employees. Technology undoubtedly has made its way to the next level to make employer monitor employees productivity. However, it has become the factor to breach privacy, but to prevent dent to company's reputation. Previous post Terrifying New Online Game “MoMo” Sweeps the Web Next post How Social Media Addicted Teens Become Media Obsessed Adults?